The annual Finnish Champs were held this year at Jyväskylä and our five-member team packed itself into a car (yes, in one car) and drove to fight for glory and merit once more! Some excitement was experienced even before the competitions began as one of our team member was registered for the Individual Competition only hours before the competition started! 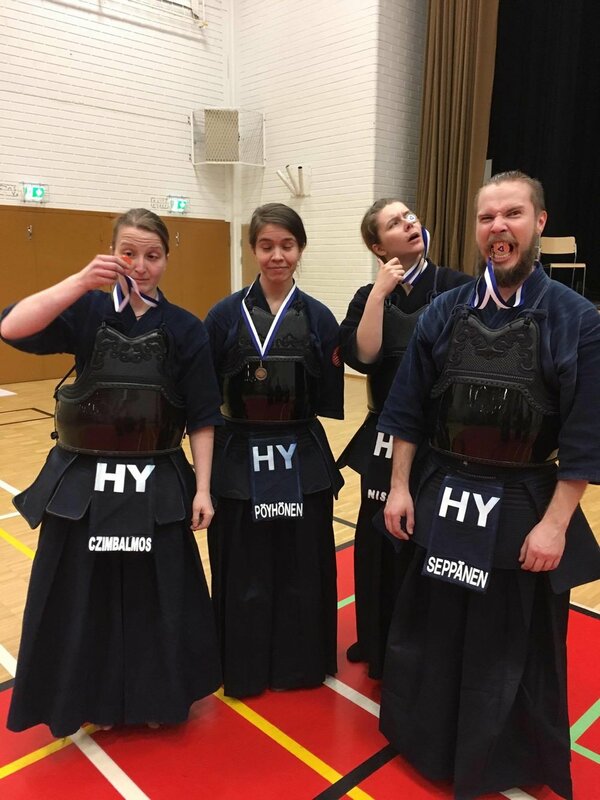 SILVER for the the whole awesome team of HY-KENDO!! From left to right: Jenni, Otto, Saara, Merci and Tuomas. Beginner's course starts on 19th Sept!! !